Oral hygiene is a delicate balance of function and flavor. Our flavors deliver therapeutic results while providing a pleasurable flavor experience, so people enjoy—rather than avoid—daily brushing, rinsing and flossing. From toothpaste to mouth rinse, floss, tablets, creams and fixatives, Callisons expertly matches the best flavor profile with the application to achieve the objectives. With a keen awareness of global flavor trends, we continually develop products designed to appeal to local market tastes. We blend our expertise in flavors with scientific knowledge of the complex chemistry of oral care to produce creative, high-quality products that deliver sensory pleasure and desired outcomes. These products generally use flavors to mask bitterness of the adhesive, though not so strong as to interfere with the enjoyment of eating. Our applications lab is equipped to develop, test and achieve the perfect balance. 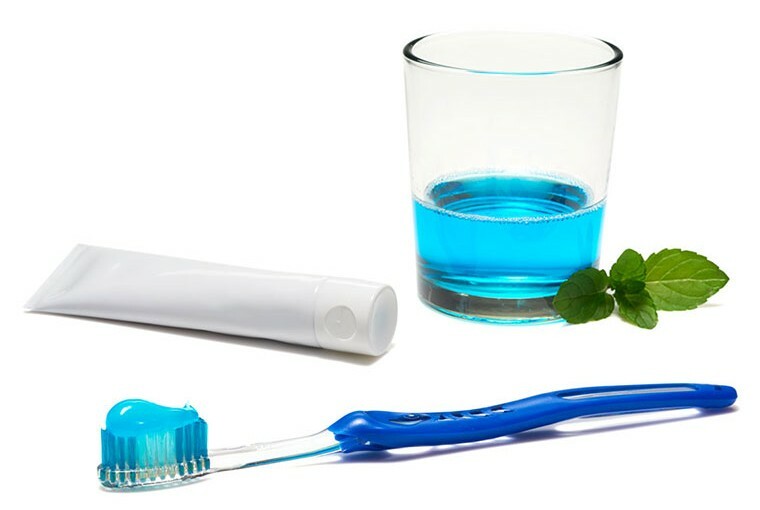 Whether alcoholic or non-alcoholic, mouth rinses are intended to freshen breath, kill germs and deliver active ingredients. We develop intense, crisp, refreshing flavors to match local tastes and mask the strong bitter, astringent notes of actives. The most traditional formulations come in chalk, paste or gel, providing effective cleaning at an appropriate cost around the world. We also invent new products for more targeted purposes and audiences: whitening, sensitive or therapeutic formulations, children’s products, and designer flavors. While dental floss and denture cleaners are considered peripheral oral care products, they are important to oral hygiene. Whether a flavored dusting on the floss, or a pleasant residual flavor following denture cleansing, a satisfying taste can enhance the consumer’s enjoyment and use of these products. Flavor can be delivered in a variety of ways—it all depends on the product and desired effect. Blending science with art, we help you craft the ideal form, function and flavor to meet your needs. Easy to apply and incorporate into a wide variety of products, from gels to pastes to liquids and more. Offer a burst of initial flavor; a great option when the base product makes liquid difficult to use. Add visual appeal, mask active ingredients, and deliver timed flavor release. Perfect for seasoning, shaking or sprinkling for a hint of flavor. There are as many flavors as there are ways to enjoy them. We are continually exploring and developing new flavors to meet the evolving taste preferences of consumers around the world. Looking for something to give your product a little something special? Maybe you need to refresh an old standard, launch a brand new product, or add ingredients to boost health and wellness. Our applications team is in the lab every day, exploring unique product concepts that enhance flavor in new and exciting ways. Boost or extend the fresh feeling with long lasting cooling that targets specific locations in the mouth. Expand market share by adding vitamins or pharmaceuticals to your products, blending good taste with good health.